Taqueria de Los Muertos | Oh No! Not Another NYC Food Blog! Tacos just off Prospect Park. I had 3 tacos: turkey with mole, tongue with tomatillo and pork with spices. Great turkey – really nice spice. Good tongue – tender and well seasoned with a bare hint of wild and orange. Decent pork – a little sweet but tons of spice. 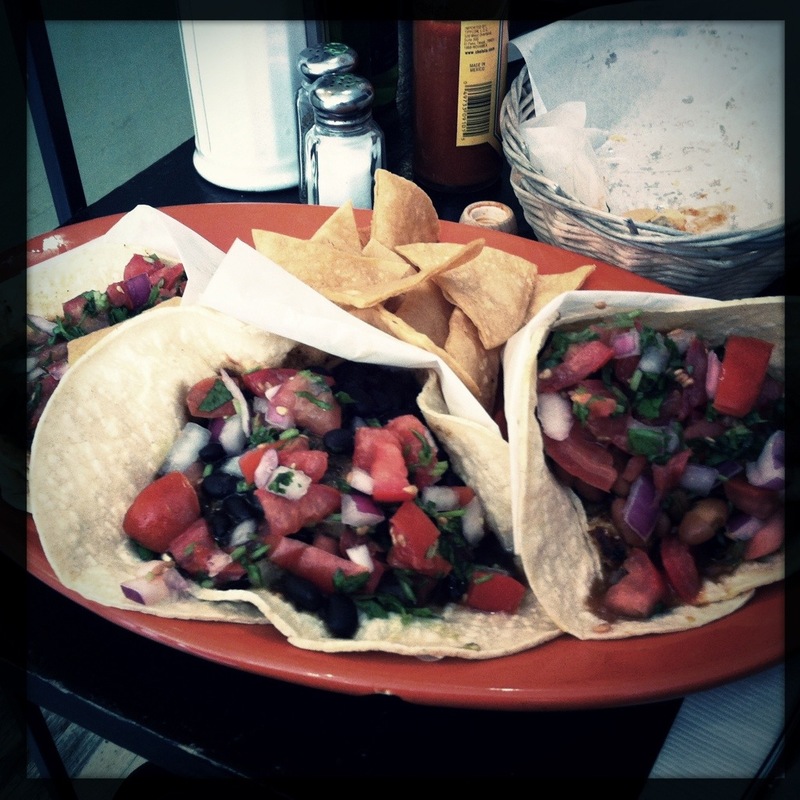 These tacos were huge; 2 was more than enough. My DH ordered the burrito with chicken, but received a burrito with steak. he wasn’t came out as steak, but it was really flavorful. Huge. We also ordered chips & salsa. 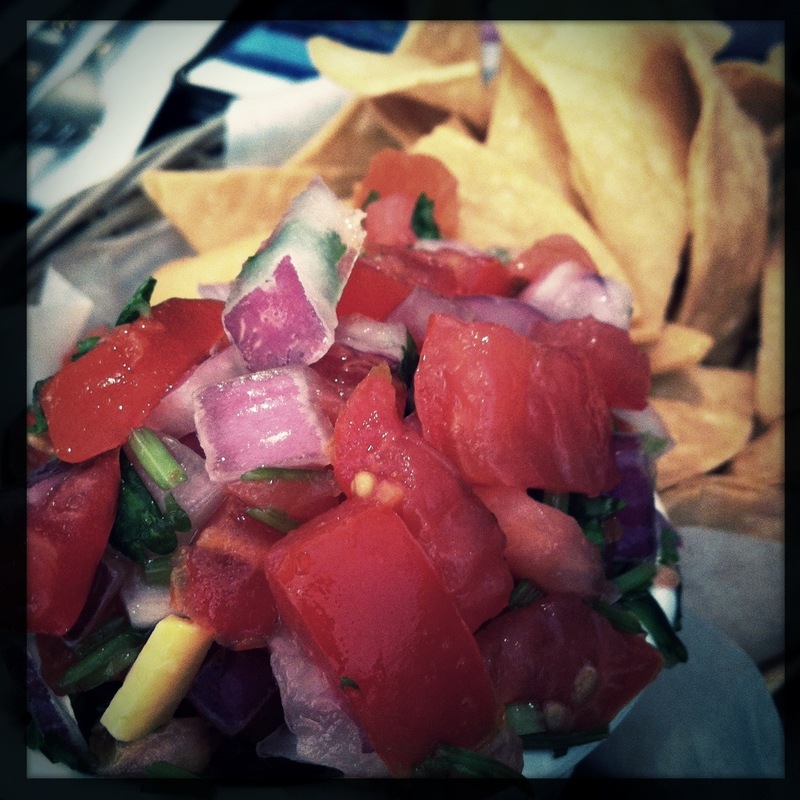 The chips were fresh and unsalted; the salsa was chunky and bright. We both drowned everything in heaps of salt, lime and Chaula. 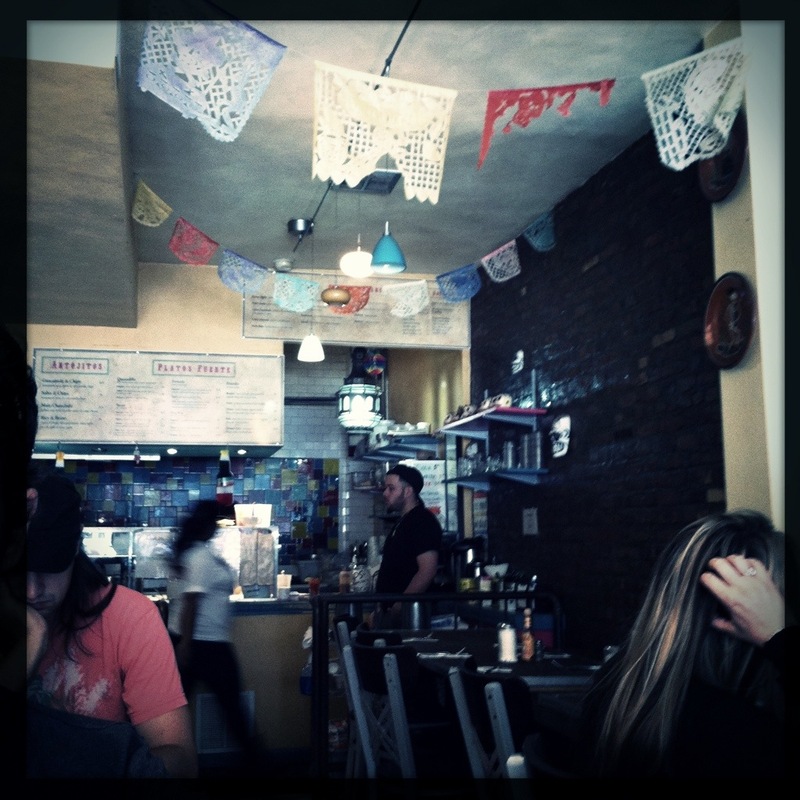 Cute decor – very open for a tiny space, cafe feel, lots of sugar skulls. Not bad for such a casual eatery. This is a great little find. Solid tacos, huge burritos, and a pleasant walk from the park. 4 out of 5 for an easy, relaxed time with surprisingly good food.